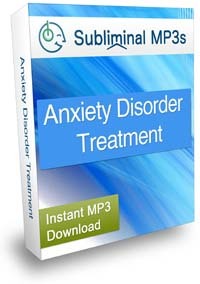 Control your anxiety and live your life more confidently with help from this subliminal mp3. Do your anxieties make it almost impossible for you to enjoy a normal social life? Do you get so overwhelmed with anxiety it interferes with your ability to make a living? Do you dread new situations because you fear you'll somehow be humiliated or judged or just feel socially awkward? Do you want to walk away from your anxiety and lead a full, active, happy life? Anxiety disorders can cause all kinds of irrational behavior. You may have a phobia about something, suffer from panic attacks and ultimately live your life ruled by anxiety.. but you don't have to let your anxiety control your life forever.. 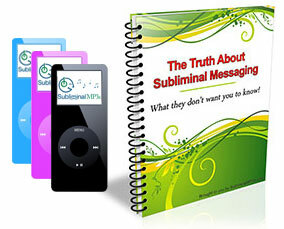 This subliminal album can help you overcome your anxiety by tapping into your mind to change your behavior patterns, patterns of thinking, and self beliefs on a core, subconscious level. Everyone is different and you may begin to notice positive changes within a few days or a few weeks. Instead of being concerned about when the changes will take place, just keep listening and prepare yourself for a brand new perspective on life. Soon enough you'll notice your anxiety doesn't overwhelm you anymore and you will be excited to get out and socialize more. You will find yourself a lot less anxious in situations that used to be a problem for you. This may feel odd at first because it's a feeling you're not used to. That's okay, just go with your new feelings, don't be afraid to move forward in your life. This album can give you new thoughts but it's up to you to see it through. How different can your life become? Well imagine yourself becoming more outgoing and confident in social situations, you look forward to spending time with family and friends. Your new confidence makes you feel incredibly positive about your future. You realize you are no longer overwhelmed and anxious when meeting new people, instead you can't wait to socialize and maybe even meet that special someone. This makes you feel the possibilities in your life are unlimited and you are ready to go for it! Take a look at how much more fulfilling your life is living anxiety free. You are calm and confident at all times, you are in control. New situations no longer send you into panic mode. Right away you feel a lot more secure and you have a stronger expectation of success in your life. You are ready and able to go after the career of your choice because you are no longer allowing your anxiety to rule your life. You feel more than capable to go after and get what you want out of your life. See how much stronger you are and not worried about being judged or feeling embarrassed in social situations. That is a thing of the past, you are able to handle situations as they arise. In fact, you are so in control of yourself, you find others are a lot more comfortable around you and reach out to you and invite you to various social events. You feel a new level of independence you've never felt before, and you can feel your confidence continuing to grow stronger and stronger each day. This really is possible, it is what you could expect from listening to this mp3 and acting on the new thoughts you will begin to experience! It doesn’t work by magic, and it doesn’t work all on it’s own, but this subliminal will lay the foundation for change through your subconscious mind bypassing your conscious mind altogether and help you to take a new direction in your life towards a positive, happy future! Today could just be the day you take control of your life and not let your anxiety disorder control you anymore with help from this subliminal mp3!